Available on all new and untitled Toyota vehicles at any Toyota dealer in AL, FL, GA, NC, and SC. This offer expires 6/1/19. Other terms and conditions may apply, see your Toyota dealer for complete details. $500 Military Rebate when you lease or finance a new Toyota. 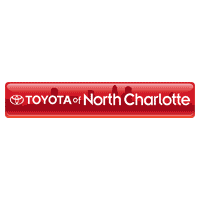 The $500 Military Rebate must be used as a down payment on a retail installment contract or as a capitalized cost reduction on a lease agreement through Southeast Toyota Finance. Credit approval by Southeast Toyota Finance required. Customers must be in current active duty status in the U.S. Military (Air Force, Army, Coast Guard, Marines, National Guard, Navy, and active Reserve) or a U.S. Military Inactive Reserve (i.e., Ready Reserve) that is part of the Individual Ready Reserve, Selected Reserve, or Inactive National Guard or Military retiree within one year of retirement. U.S. Military veteran within one year of their honorable discharge date or a household member of an eligible U.S. Military personnel. “Household” refers to family members living with the qualified Military personnel. Verifiable proof of military status, proof of active service, or inactive Reserve status is required at the time of purchase or lease. Available on all new and untitled Toyota and Scion vehicles at any Toyota dealer in AL, FL, GA, NC, and SC. May be combined with some special offers. Other terms and conditions may apply, see your Toyota dealer for complete details. Removal of a financed or leased vehicle from the United States may not be permitted. See your retail installment contract or lease agreement for details.